Enjoy uninterrupted programming all weekend! You probably know that we are in the middle of the Spring Pledge Drive as you've been listening to WEMU this week. This morning, there's approximately $25,000 to raise by 7 pm today keep our weekend pledge free and uninterrupted. Your gift will help us reach the halfway point of our $100,000 goal. We're so incredibly thankful to the many loyal and generous listeners we've heard from so far this week. You're the reason behind the success of this station. We don't automatically send you a bill for our service and we don’t require you to pay. Instead we ask you to think about the value of all the great music and information you listen to every day and give based on the honor system. Sure, there are plenty of ways to say it: Pass the hat. Pay the cover. Buy a ticket. But the request is the same. Pay for what you use. And the price? You decide – five, 10 or 100 dollars a month. You choose. Just call 888.299.8910 or click here to give right now. 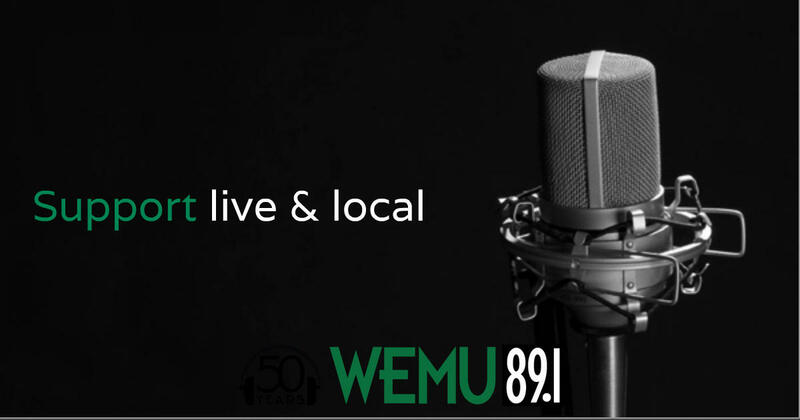 Your gift to WEMU keeps our community a great place. Take this opportunity to give now and help us reach our goal of $25,000 before the weekend, and we'll be fundraiser-free for the rest of the weekend.